Window tints for cars are used for different reasons around the world. Car windows tint films are an economical, attractive and convenient way to improve the quality of the interior space of the car. Not only does the window tints cuts down on glare, but promotes privacy without reducing the light and visibility inside the car. However, not all the window tints can offer all the benefits. Dyed Window Tint Films are one of the most economical window tints available. These are less expensive than others and somehow less functional as well. These window tints block rays by the addition of dye to the film. In these window tints, the dye is placed in the layer next to the adhesive. This layer is then applied to the window of the car. 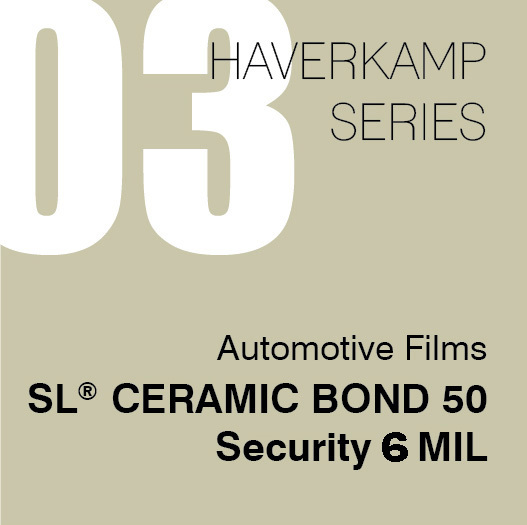 The dye in the film absorbs the solar film and prevents some heat from entering the vehicle. It also blocks the UV rays to some extent. These are used primarily for appearance and privacy. From outside the car, these will look black but from the inside, the vision will not be blocked. Another type of car window films is the metalized window films. This type of car window tint consists of several layers. The base layer of the adhesive joins the film to the window of the car. This layer is followed by the layer of film used to block the UV rays and radiations. After that metallized layer follows that reflects heat and darkens the window to give a cool effect inside the car. Followed by the metalized layer, a protective film is applied to prevent scratches. 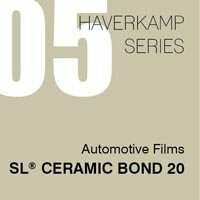 Hybrid tinting film combines the benefits of both the metalized and dyed window tints. This type of window tints comprises of an adhesive layer, a dye layer, a metallized layer and a protective coat. Because of the combination of the dyed and metalized layer, the light which is not reflected is absorbed by the dyed layer and this makes the vehicle cooler in the summer and warm in the winter season. 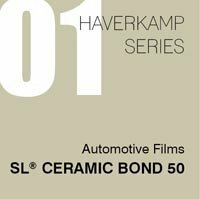 Ceramic films are one of the most recently developed window tints consisting of an adhesive layer that is mated with a thin ceramic layer. These layers are protected by a top coat. These window tints reflect heat and darken the window. However, the vision from the inside is not blocked. These are some types of car window tints. 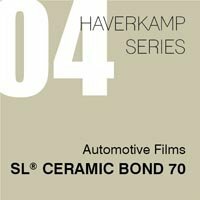 If you are looking to get your car tinted in Malaysia, contact HAVERKAMP. They are offering all types of car tints in Malaysia at the best prices with full warranty. What Does VLT Mean For A Car Tint ? You have decided you are done with people laying eyes on the insides of your car and found out of the types of benefits a tinted film in Malaysia would bring to your car’s windows. Installing a car tint in Malaysia is only the beginning. VLT is short for Visible Light Transmission. A net portion is the mixture of both film and glass and not the film solely. Most car manufacturers do include some sort of factory tinting percentage to their windows. You could notice that at the top of your front window. That area is usually darker as it is meant to stop a high sun from blinding you. Imagine the amount of incidents there would be during the afternoons otherwise. The usual rate of light transmission car producer use is in the range of 70 to 90 percent. Solar windows film in Malaysia would lead to a lower light transmission due to the coating of the window. There is also the term of NET VLT. This is the correlation of the visible light transmission of the glass to that of the tinted film in Malaysia. The result in the formula to calculate it comes off from the multiplication of the two percentage values. For example, if the tinted film in Malaysia has 30 percent visible light transmission and the glass have 70 percent VLT the NET VLT will be 21 percent. 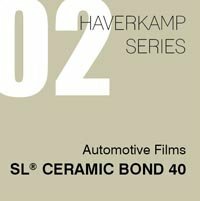 In order to calculate the values properly of your auto film in Malaysia, and we recommend that you that in case you have coated your windows with it, you have to be completely aware of the car’s manufacturer original glass tint value. You could find such information in the car’s driving manual. In case that you have lost the driver’s manual, you could generally buy one if your car is common or look for it on the internet. Car manufacturers usually have them uploaded in the web. Why Should a Person Care About VLT and Net VLT? In May 2015 there was an enforcement of a new law regarding car tint in Malaysia. It regulated the minimum amount of visible light transmissions which are permitted in the country. As it goes, they are 70% of VLT for the front windscreen, 30% for the rear window and the back side windows and 50% for the front side windows. The Road Transport Department will otherwise fine drivers who fail to comply with the law. There is a way to ignore the law if you obtain a special permission issued by the government in case you have health reasons or safety concerns as it is in the case of famous personalities and people with public influence. It is essential that you are aware of the car tint percentage your car has in order to communicate with law enforcements once they stop you for a regular check up. It could save you the trouble of unnecessary fines.